Camp HOPE date are set! Camp HOPE America is the leading year-round camping and mentoring program in the country for children and teens impacted by domestic violence. Classic Camp (ages 7-11) : June 9th – June 14th. 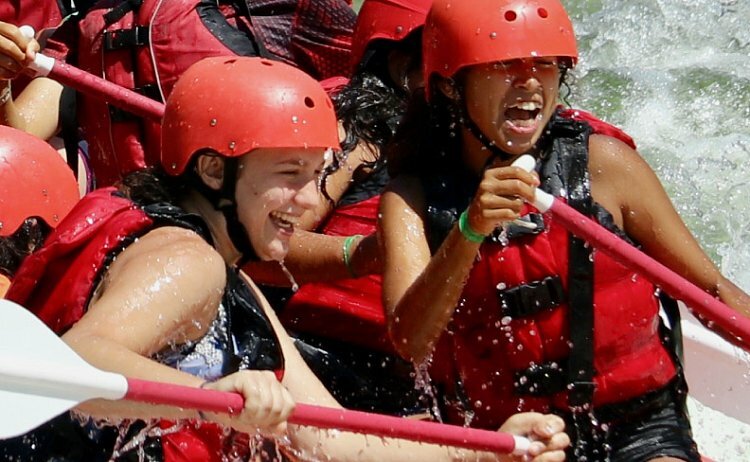 High Adventure Camp (ages 11-17): July 28th – August 2nd. If you have a child who you believe would be interested in Camp HOPE please contact Stephen Murphy at Stephen.Murphy@acgov.org. Welcome to the Alameda County Family Justice Center (ACFJC), a one-stop center, with 30 onsite and over 50 offsite agencies and programs, for individuals and families experiencing domestic violence, stalking, sexual assault and exploitation, child abuse, child abduction, elder and dependent adult abuse, and human trafficking. Our ACFJC Client Navigators (on-site consultants) will link you to the services you request. Center Hours: Monday through Friday, 8:30am to 5:00pm. Appointments can be made after hours. We can provide transportation vouchers when needed. The Alameda County Family Justice Center (ACFJC), envisioned by Alameda County District Attorney Nancy E. O’Malley, began as a simple concept; to create a 1-stop location that would provide effective, comprehensive services to victims of interpersonal violence in a collaborative and coordinated way. The ACFJC is a Division of the District Attorney’s Office and provides visitors with legal, health, and support services and the opportunity for physical and psychological safety, recovery and well-being.